Hey guys! Winter skin getting you down? Fed up of rough hands? Cracked, dry lips? Eczema? Hard, dry skin on your feet? Don’t worry. Today’s post is here to help you with all of the above. O’Keeffe’s provide a whole range of body care products that are designed to solve a collection of skincare issues. 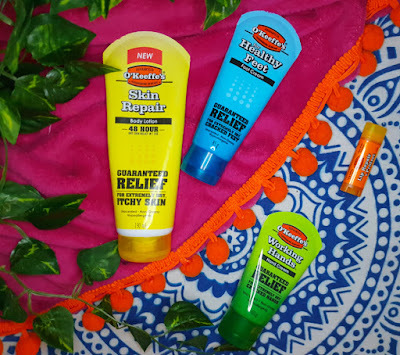 They have lip balms to heal up extremely dry and cracked lips, a foot cream to heal and moisturise hard skin on the feet, a hand cream to banish the rough and painful skin on your hands and a body lotion to conquer eczema, itching skin and extra dry patches. All of this at nice and affordable prices. Sounds great, right? They started creating these products back in 1990 when Tara O’Keeffe saw the discomfort her father, Bill O'Keeffe, was in with his dry skin that was caused by rigorous, hard work. 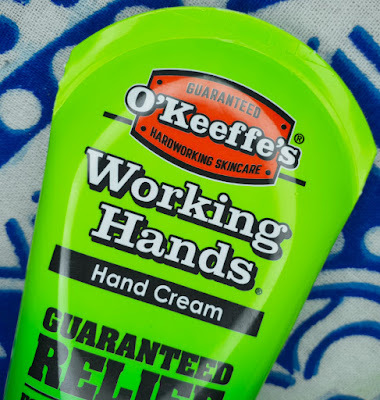 She managed to use her skills as a pharmacist alongside her father’s help to create a cream that worked for him, and this became the Working Hands Hand Cream reviewed here today. From there, they went on to include the rest of the range of products that will be shown in this post over the years. They’re all packaged in brightly coloured bottles, a different colour for each product and some of the products are available in different sizes. To me if feels obvious that they want men to feel comfortable purchasing and using these products. This is down to the aesthetic design of the products, the way they are described as working ("matte finish" lip balm, "hard-working" cream) and the fact that they are sold in DIY stores as well as beauty stores. They aren’t just for men though (as all other beauty products) and they are definitely here to be used by everyone. Side note: I don’t think that men should ever feel uncomfortable using any beauty products, no matter how pink or girly the packaging may be. Whilst women do tend to be the ones spending more money in the beauty market, I don’t think that any men should feel intimidated to buy what they need. Use what you need and what you want and be okay with that! That goes for everyone. End of side note. I’ll go into detail for each product individually except for the lip balms which I will discuss together. The O’Keeffe’s Lip Repair lip balms are pretty much the same packaging wise, but I’ve found that they work quite differently. Whilst the Cooling Relief Lip Repair is very cooling when you apply, it goes on with an instant matte finish and is therefore practically impossible to see that you’re wearing any lip balm. 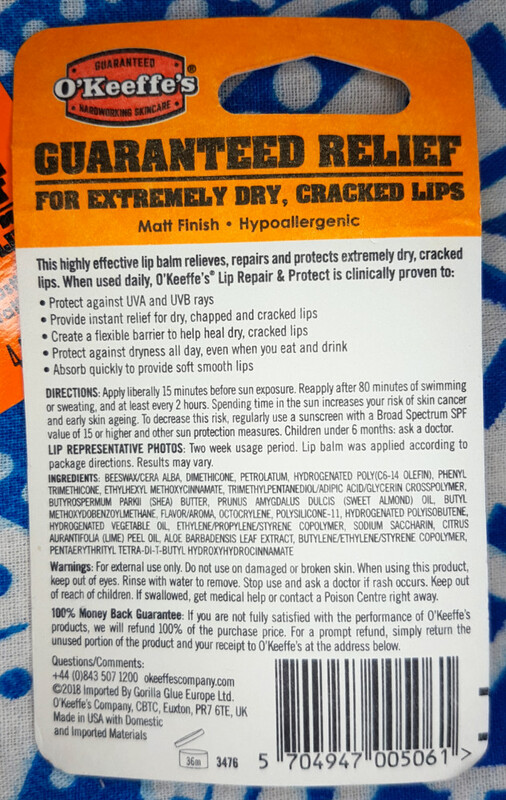 The Unscented Lip Repair and Protect, however, is a lot creamier and has a very subtle sheen on the lips. I wouldn’t describe it as glossy, but it feels buttery on the lips and has a very light shine as if you’ve licked your lips. 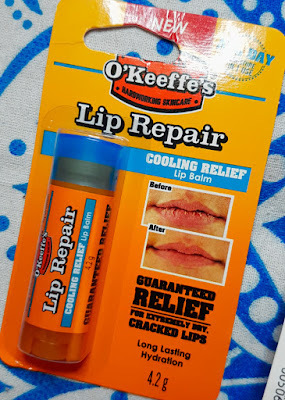 The Cooling Relief Lip Repair feels more healing and as if it is fixing up cracked lips, but the Unscented Lip Repair and Protect feels like it is an intense moisture shot that gradually melts any dry skin from the lips. 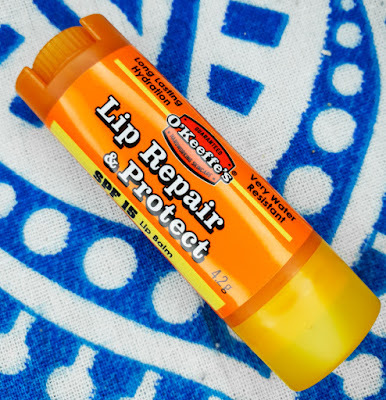 The other main difference is that the Unscented Lip Repair and Protect contains SPF15 and the Cooling Relief Lip Repair doesn’t. 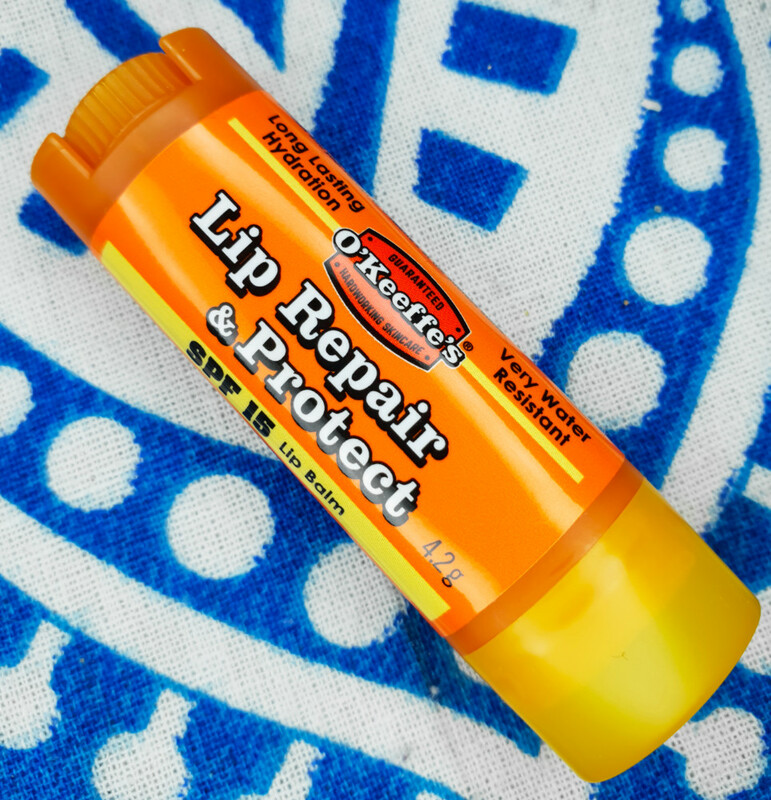 Therefore I would recommend using the Unscented Lip Repair during the hotter months or whenever you are in need of SPF. 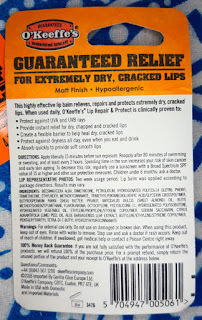 Being a beauty blogger, I have admittedly used and compared a ton of lip balms over the years. 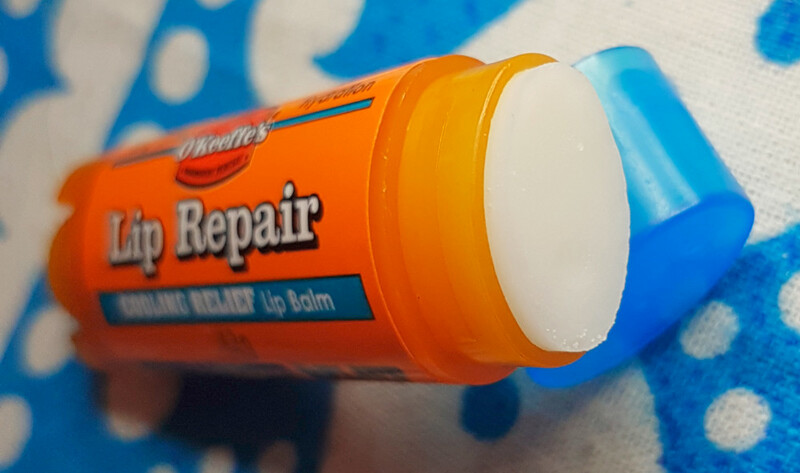 One thing you tend to notice about lip balms is that they don’t necessarily wear for an extremely long time. A few do wear for longer though, and these two are right up there. 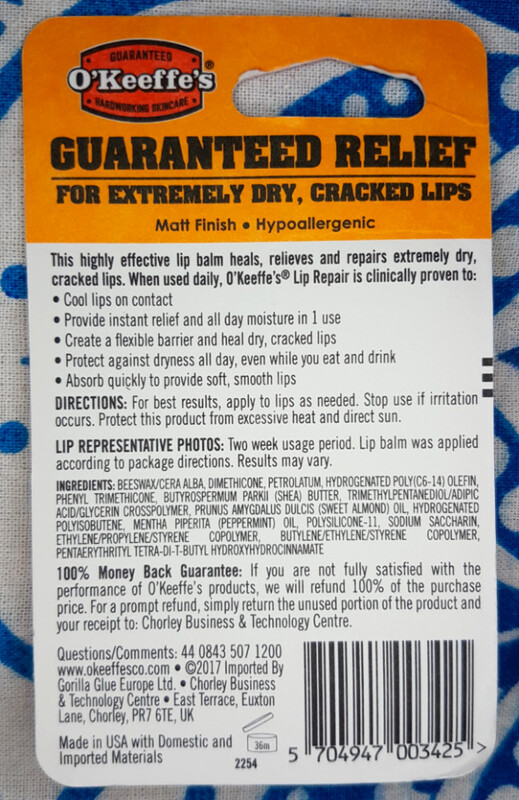 I’d say the Cooling Relief lip balm lasts longer though (probably because of that matte finish) and it just may be the longest-lasting lip balm I’ve used to date. The thing I don’t like about them though is the shape of the stick. It’s not a unique shape to these lip balms specifically; a lot of lip balms have this oval shape to them with that little dip in the middle. I just personally find them a little awkward to apply in this shape as it doesn’t feel like you get a smooth coverage around the lip line, but as they’re transparent it doesn’t take away from it being a good lip balm. You can’t see if it isn’t tidy around the edges. Overall, these are both really good lip balms. They do a great job at healing and hydrating the lips. 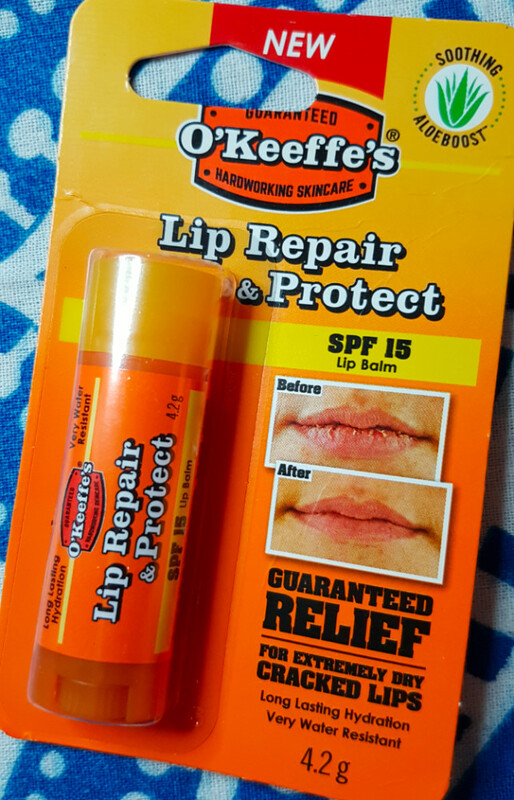 You notice a difference from the first use, but how long they’re going to take to work depends on how bad your lips are to start with. The drier or more cracked they are, the longer you’re going to need to use the balms, multiple times a day for at least a couple of weeks. 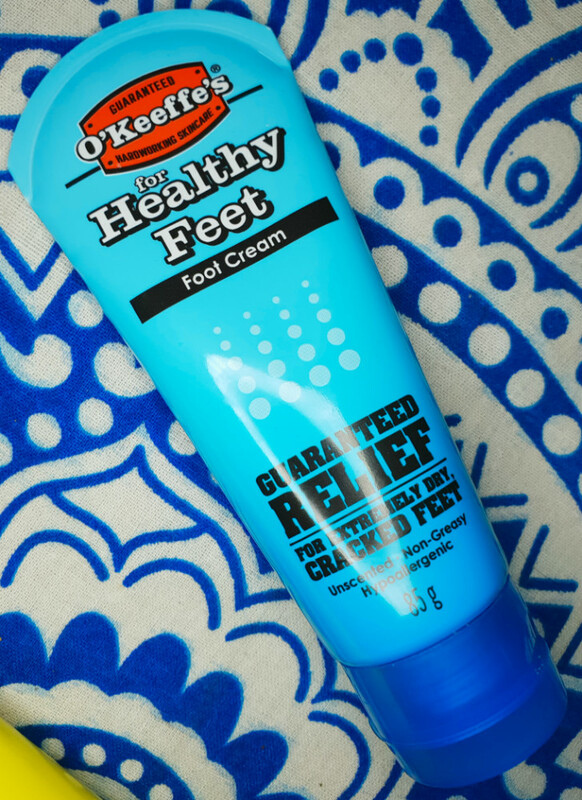 The Healthy Feet moisturising Foot Cream is designed to heal dry, cracked skin on your feet. 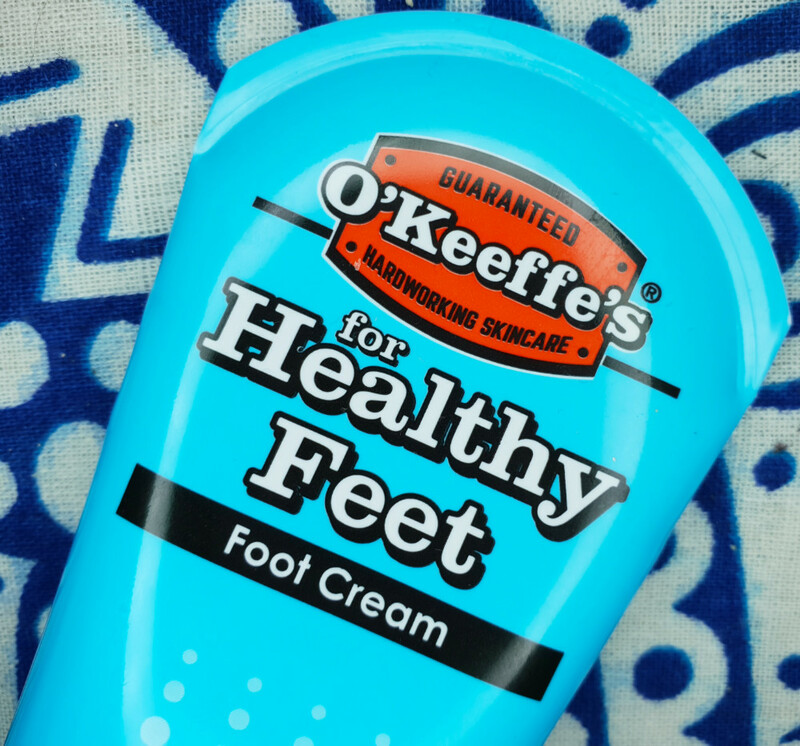 It contains a range of moisturising ingredients such as allantoin and glycerin to replenish the feet and to hydrate them. This foot cream is very thick consistency wise, but it absorbs rapidly which is fantastic as most foot creams can leave your feet feeling greasy for a while (and is the main reason I end up skipping use of them personally). You’ll still need to throw some socks or slippers on afterwards to avoid sliding across the floor or sticking to your carpet, but it does absorb far faster than other foot creams you may have tried. You only need to use a little bit to cover the entire foot as well. It does moisturise the feet from the first use, but it takes a good few uses before you start to really notice a difference. It is fantastic on the driest of areas, so if this is an issue of yours then this is a great product to incorporate into your routine. It is also best to be used after exfoliating and after a bath/shower as this is when it absorbs better, so if you are really struggling with dry feet then I recommend that this is what you try out. It doesn’t have a scent to it or any tingling feeling. A lot of foot creams contain peppermint which adds that nice cooling feeling, but you won’t find that here. This is pretty much as the brand describes. It's no nonsense but hard-working, so you're going to get an unscented, non-greasy product that actually does as it says on the bottle. As I explained in the opening of this post, the Working Hands Hand Cream was originally created to soothe and heal extremely dry and rough hands that have been used for rigorous work, so we're talking the driest and most damaged of hands. Just like the Foot Cream, it is unscented and incredibly thick consistency wise, but you only need to use a little of the Hand Cream and it absorbs into the skin very quickly. This is super handy if you’re always on the go as a lot of hand creams can also leave the hands feeling greasy for a little while after use. I’m sure we’ve all been there after applying hand cream and then think, hmm, I’m thirsty, or I’m hungry, and then reach out to open something like a bottle or a packet and then your hands are just constantly slipping off thanks to the hand cream. Not with this one. Wahey! With that said, I do find that it is best to be used a while after washing your hands rather than directly afterwards. I wouldn’t usually say that as I think it is normally the best time to use hand cream, but I’ve found then when you do, it leaves the hands feeling a little sticky or tacky. I can’t decide which is the better word to use. If you use it when your hands have been fully dried (after a good few minutes, maybe up to around 15 minutes later) then there is no such issue. Instead, they just feel very soft yet matte; no grease, no excess cream, just soft skin. If you have dry areas on your hands then it will take at least a few days of regular use before you notice them disappearing, but that’s how it works with all creams. 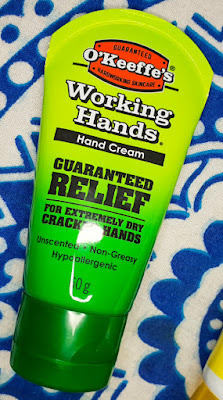 If you have severely dry or cracked hands, you’re going to have to keep using the cream consistently to get the results you need. If your skin is more severely dry then it could take up to a couple of weeks to get them looking and feeling happy and healthy again, but that's still great. Nothing works overnight, and this cream does a good job at keeping your hands feeling comfortable in the meantime. The Skin Repair Body Lotion is targeted at those who have extra dry and/or itchy skin, so think rough skin, eczema, etc. It claims to provide up to 48 hours of hydration and instant skin protection. The Skin Repair Body Lotion is the star of the bunch here for me personally. You can use it on dry skin or straight after your bath/shower and it absorbs straight away and leaves the skin feeling super smooth. No hanging about waiting for your lotion to sink in, just instant, intense hydration. Again, it is a thick cream consistency wise and unscented, but a little goes a long way. 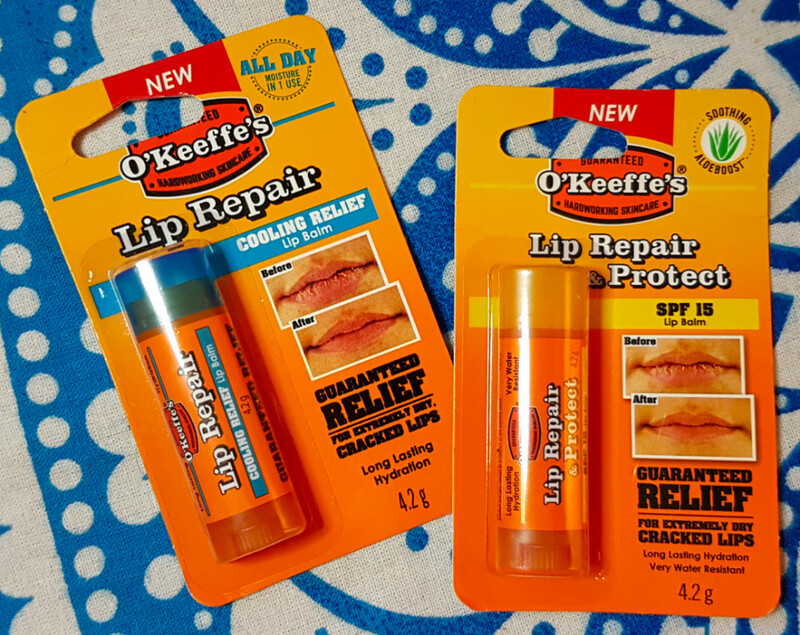 A recurring trend here with the O'Keeffe's products. I’ve been trying this out on my daughter’s eczema as well as on myself and it has kept all of her eczema at bay which is a miracle. I try so many things for it and a lot don't work, but if you suffer from eczema yourself then I do highly recommend giving this moisturiser a whirl for sure. Since using, my skin has been feeling ultra soft and smooth which has been a blessing seeing as we're currently having some horrible, cold weather which tends to dry out my skin usually. As it is non-greasy, you can also get dressed pretty much straight afterwards as well without any issues that some other body lotions can cause. If you only want to buy one of the products from the range, this would be the one out of the collection that I recommend the most highly. 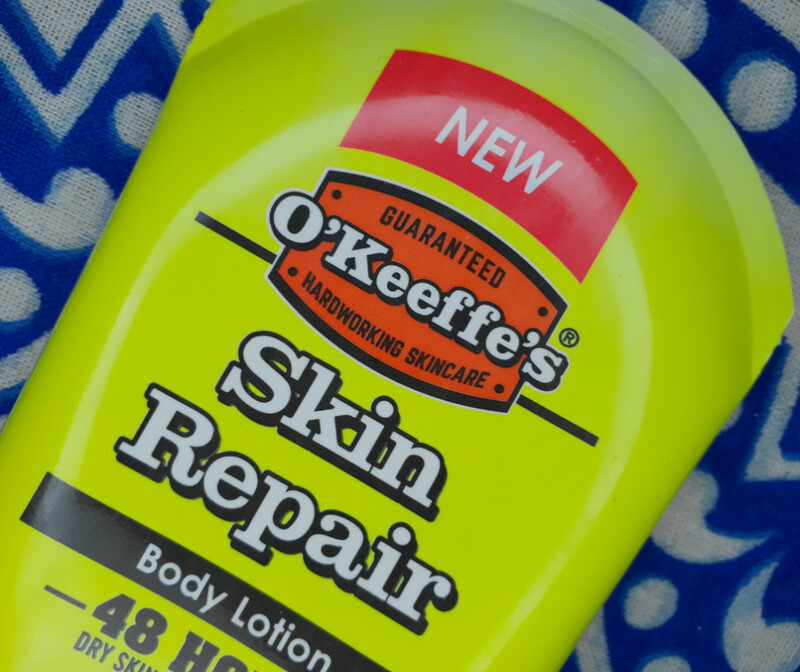 If you want to get your hands on any, or all, of the O'Keeffe's skincare collection, you can find them at Amazon. 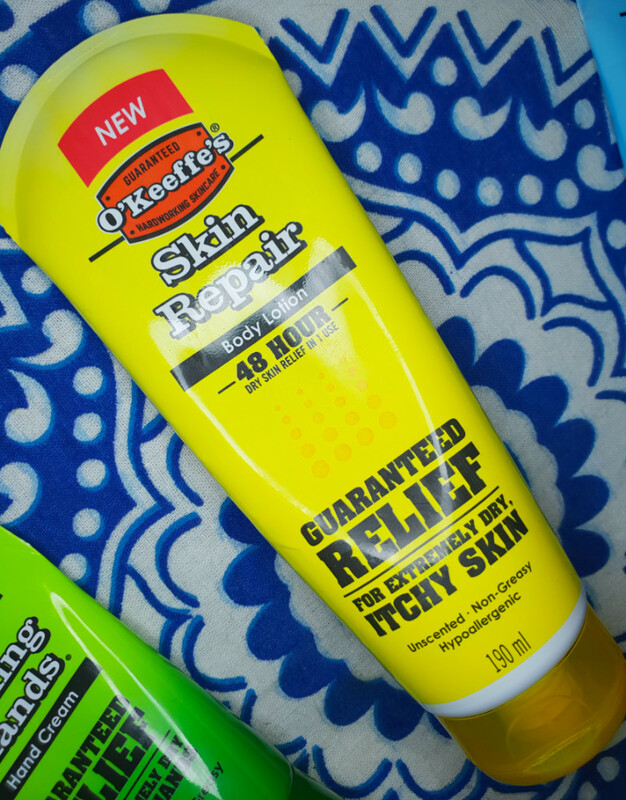 What are your thoughts on the O'Keeffe's body care range? What product takes your fancy the most?